Hello again fellow sewists! Ready for another explanation of a knit finish? Last week I wrote about one of my favorite knit finishes (binding) so why not follow that up with one of my least favorites? 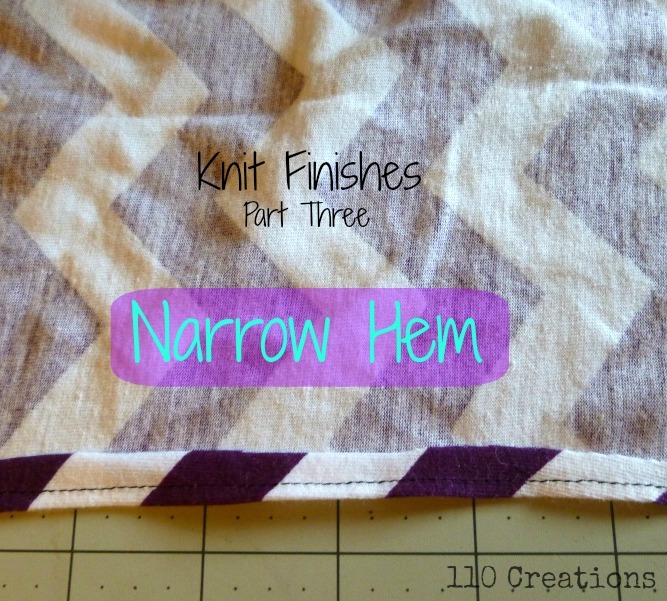 The dreaded narrow hem! But don't worry, I've got plenty of tips and tricks to help you. A narrow hem is one of the laziest finishes (in my humble opinion) but is inexplicably the most common one called for in patterns (the Big 4, at least). 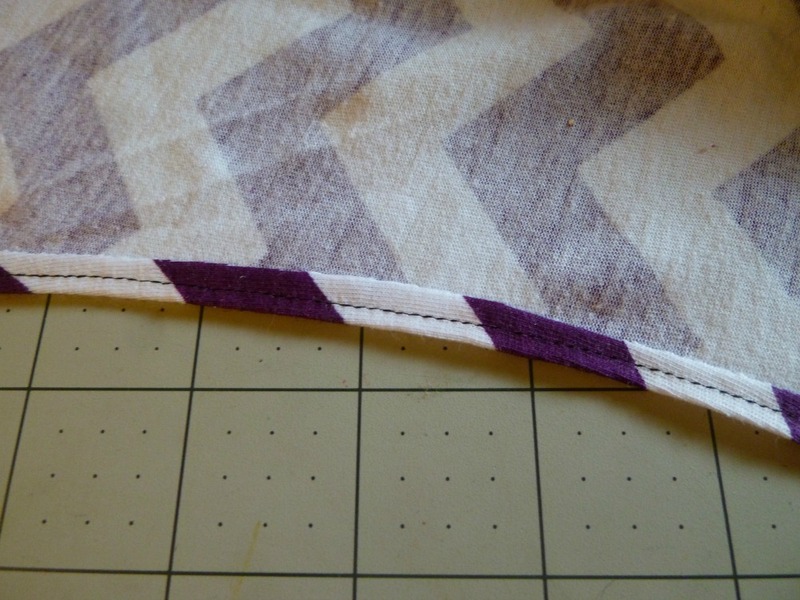 Part of why it's so common is its versatility; you can sew a narrow hem on any opening. I've most often seen it along a neckline, bodice/skirt hem, and sleeveless armhole. Personally, I prefer a deep hem (at least 1") on the bodice of a shirt, though there is an argument to be made about bulk if your knit is medium to heavy weight. 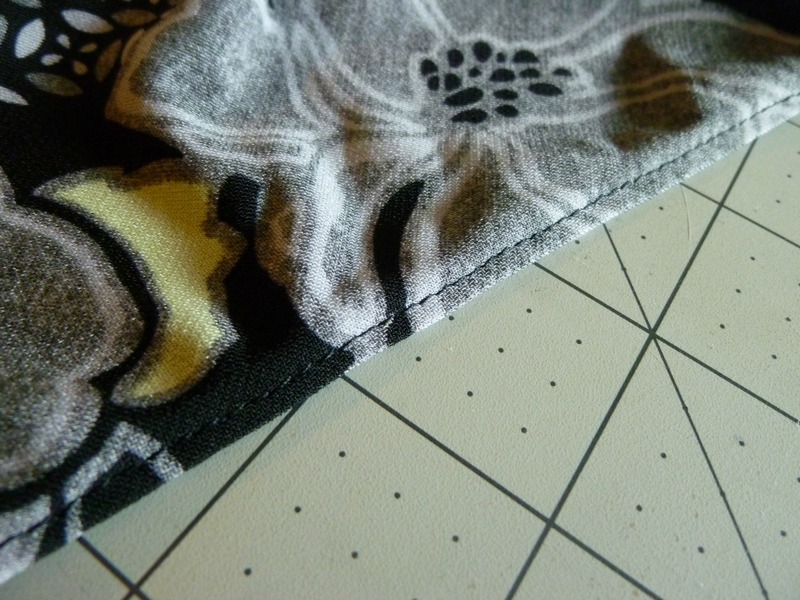 A curved skirt hem also needs a narrow hem to make easing the curve less difficult to sew. A narrow hem is sewn exactly as it sounds. 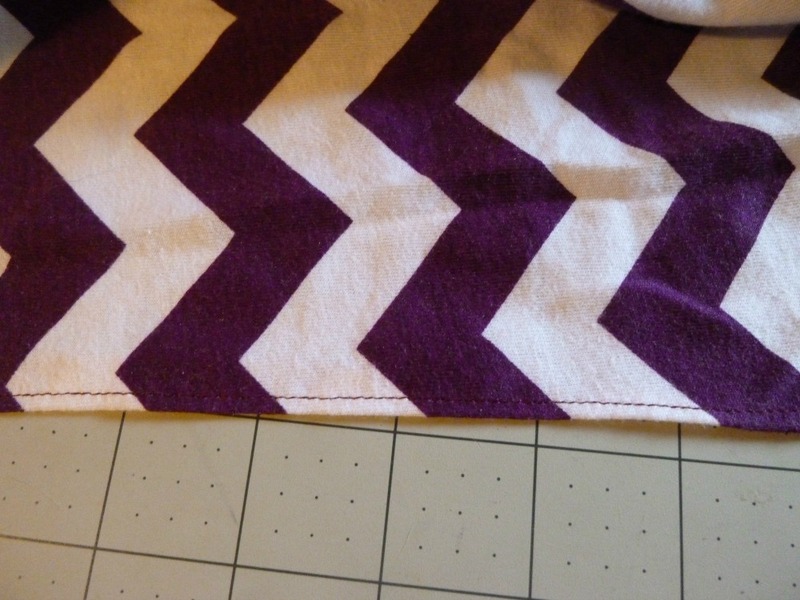 The fabric is turned to the wrong side by the amount allotted in the pattern. 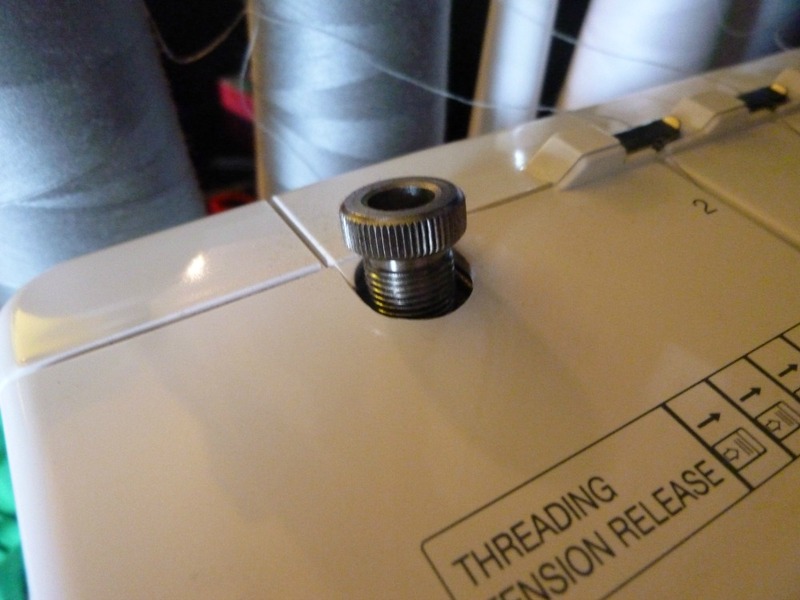 If you're having trouble getting your pins into the hem, try pinning directly into your ironing board. 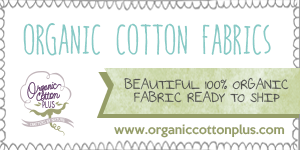 Give it a good press with the appropriate amount of heat (high heat for natural fibers, low heat for polyester). Sew it down. 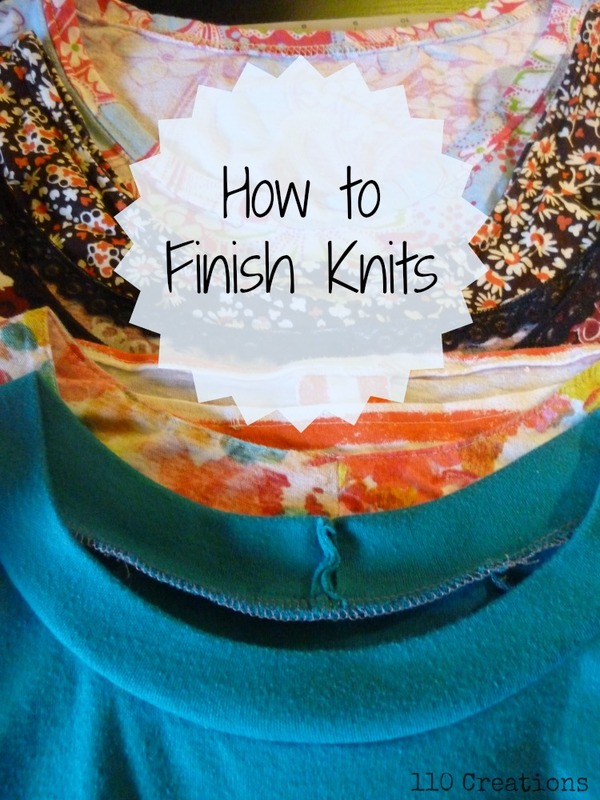 Since knits do not fray, there is no need to turn the hem back a second time. After the hem is sewn, press it again, with steam. 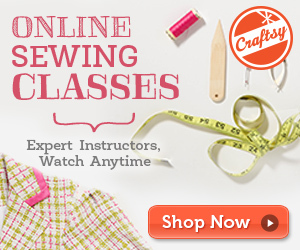 The steam will help eliminate any waviness that appears as you're sewing the hem. You'll notice that I've used a straight stitch here. This is an arm opening for a Coastal Breeze Dress and it does not need to stretch to go over my body. I see no reason to use stretchy stitches (zig-zag, stretch stitch) unless absolutely necessary, so I use a straight stitch often on knits. There are a few tricks you can use to make sewing narrow hems easier and to hopefully eliminate waves before they even appear. Waviness happens when your knit is stretched through the machine due to the contact between the feed dogs and the presser foot. If you have the ability to adjust the pressure foot pressure, trying reducing the pressure. This is the presser foot pressure dial on my serger. If the fabric is lightweight and is being sucked down into your sewing machine, try using a stabilizing paper (here is a great article from Threads about stabilizers). I've never used a commercial stabilizer, but I've had lots of success with regular old tissue paper. 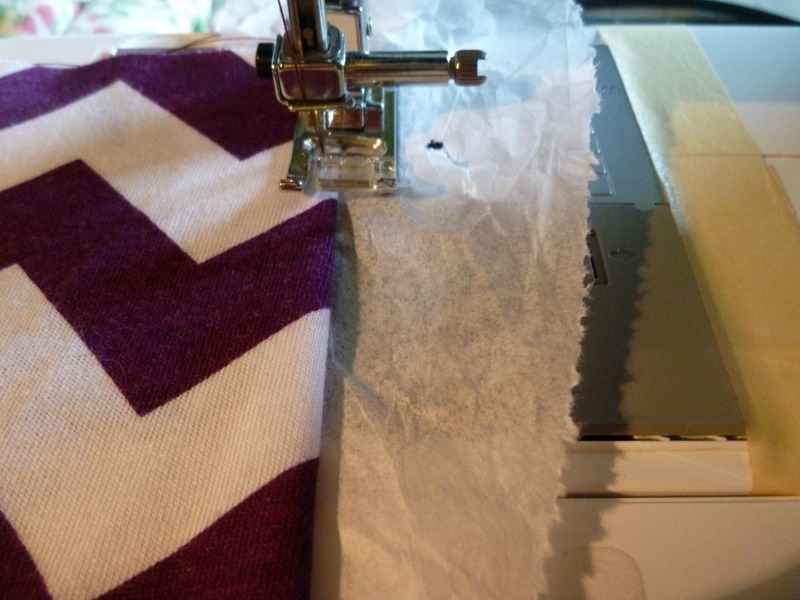 Place the tissue paper under the fabric and sew like normal. The paper provides more surface area for the feed dogs and prevents the fabric from disappearing down into the machine. 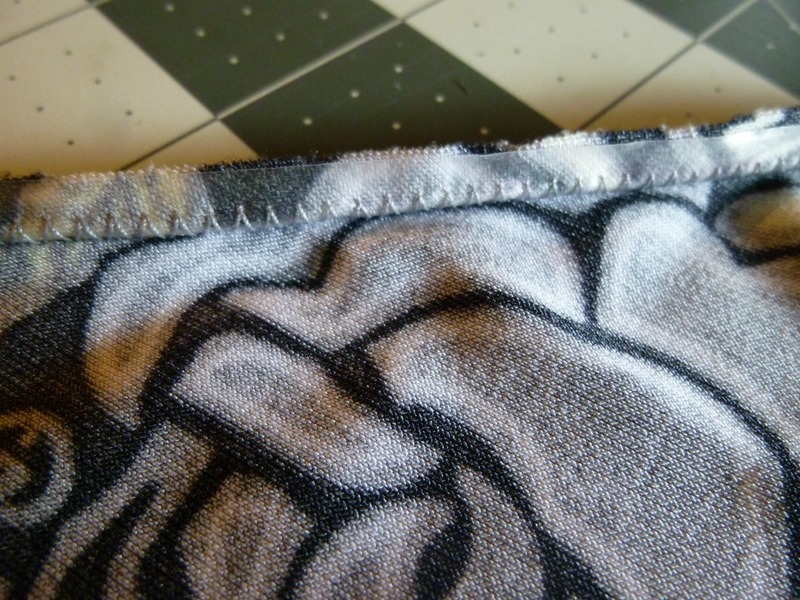 Afterward, carefully pull the tissue paper away from the line of stitching. Use tweezers to pull out leftover pieces. 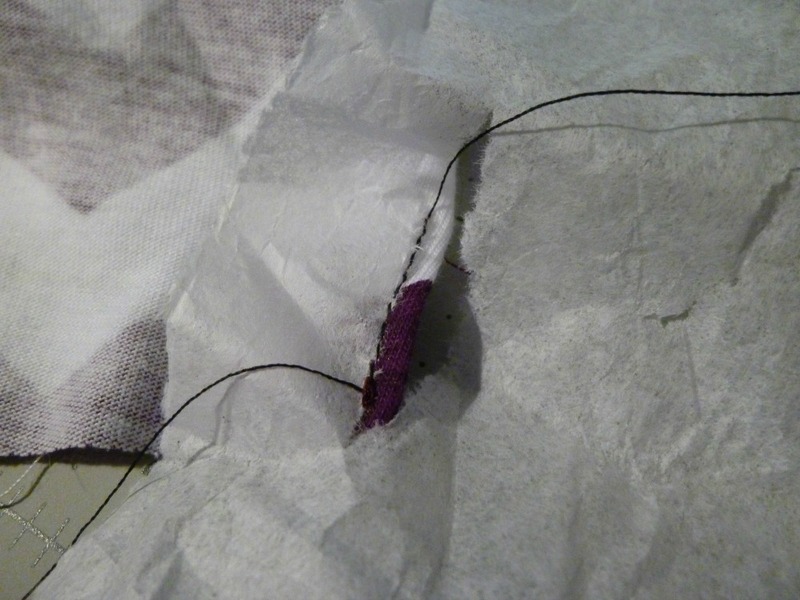 I recommend using tissue paper only on washable garments, as a quick trip through the washing machine will eliminate any pieces that are totally stuck under the thread. If your garment is not washable, then try to match the color of the paper with the color of your garment to hide any lingering shreds. This tape is sticky on both sides, is a quarter inch wide, and dissolves in the wash. At my Jo-Ann Fabrics it is sold with the quilting notions, not the garment notions. It's also available from Amazon (affiliate link). Sadly, I've only found it in a quarter inch width. 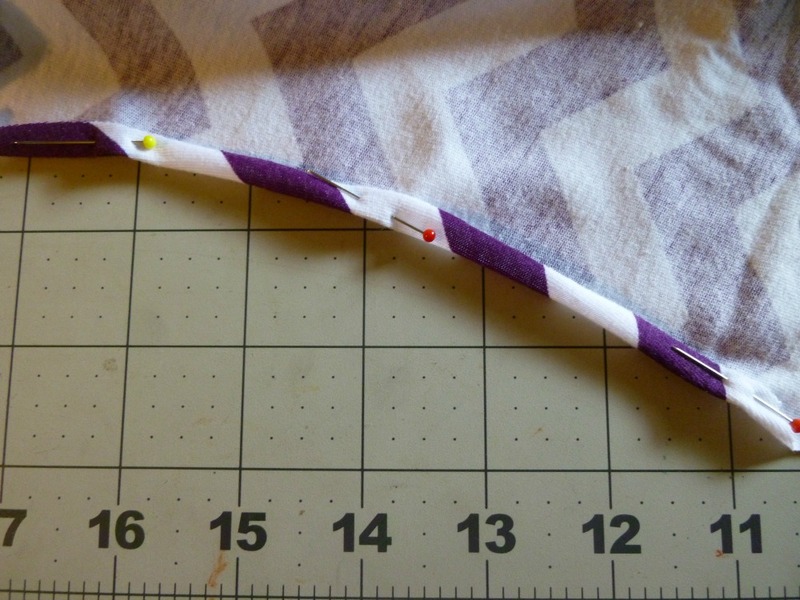 It's perfect for narrow hems, but I'd love if it came in a half inch (I've never used them, but I've heard good things about Emma Seabrooks' knit tapes as well). 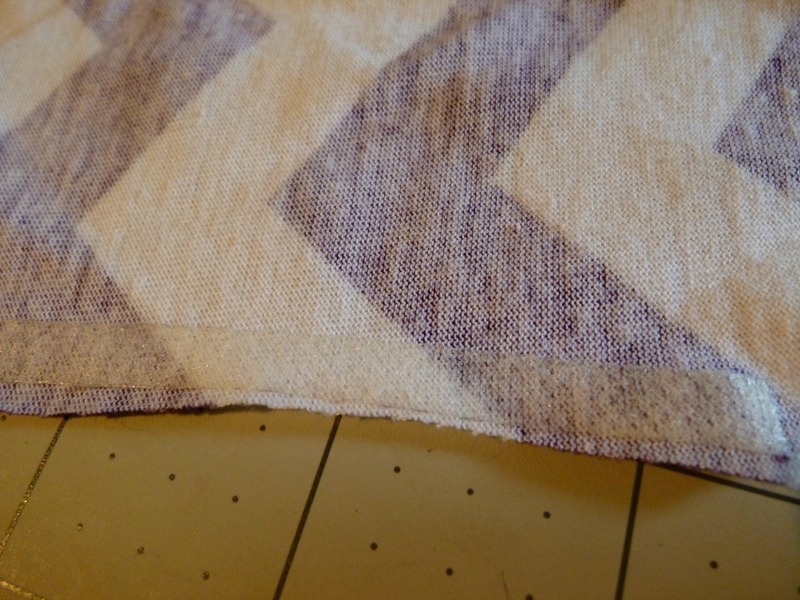 To use, unroll it and stick it down on the raw edge of your fabric, on the wrong side. Remove the backing tape, and then fold. The tape provides stability for a narrow, slippery hem, and works particularly great with unpressable synthetics. 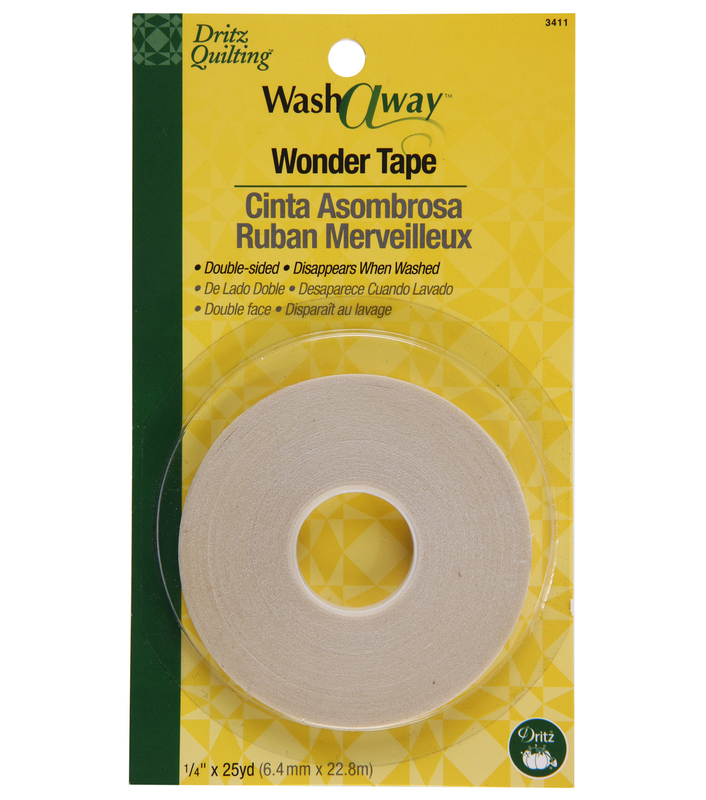 This tape is far superior to Steam-a-Seam, as it washes away and leaves your hem soft and natural. 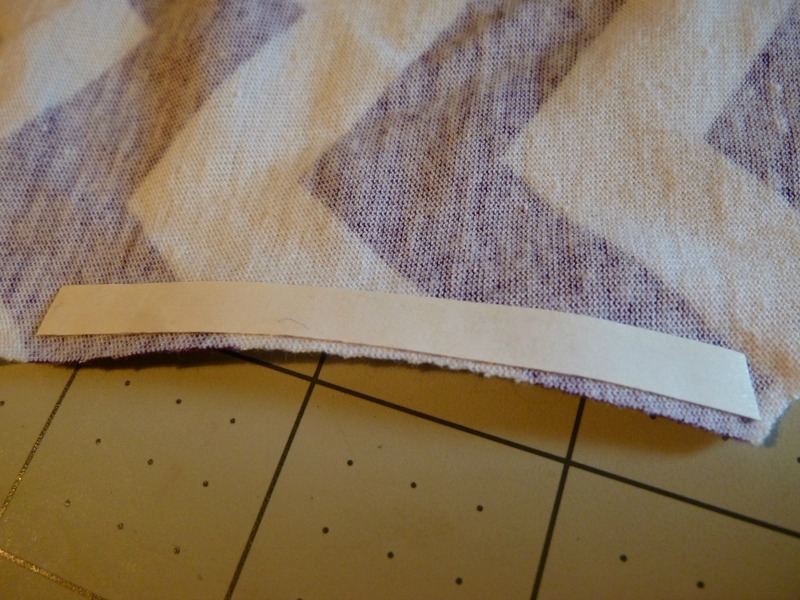 Lastly, you can use clear elastic in a narrow hem in exactly the way I described for the dissolving tape. There is no need to stretch the elastic as you sew, it's simply there to provide stability and prevent your hem from sagging out over time. 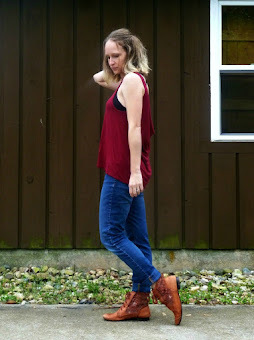 I've had success with this technique in a neckline of a boatneck tunic, as well as the front of a wrap dress. On this wrap dress, I used a glue stick to stick get the elastic to stay in place along the raw edge. 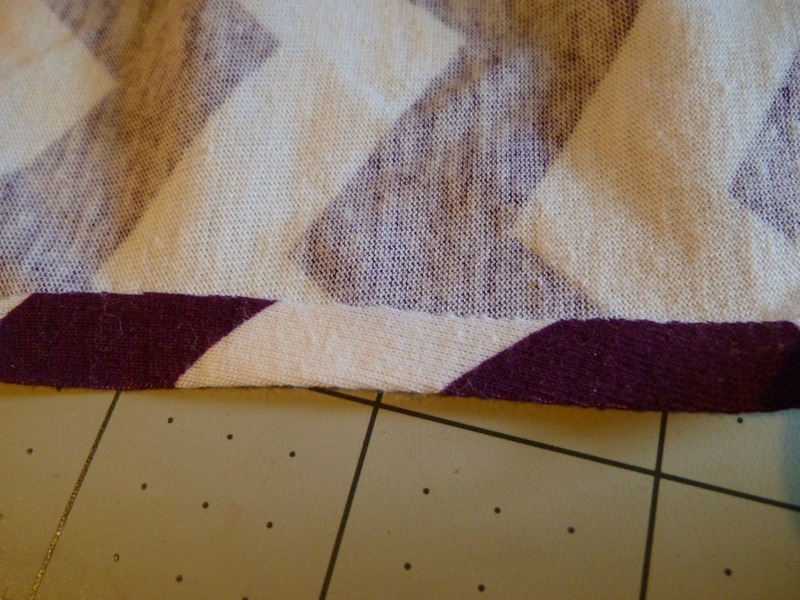 I zig-zagged it down, then turned it to the wrong side and topstitched. Who knew the most "simple" finish could require so many tricks? I'll be honest, it's been a long time since I've used a narrow hem, but on certain garments it's the only method you have available. Thank you again for these great tips and tricks! You're a true expert! Thanks! I don't think I'm quite an expert...just someone who has made LOTS of mistakes and tried to learn from them! I learned several things today, thank you! The funny thing is, on the wrap dress pictured at the end of the post, I'm pretty sure I used steam a seam in the hem :P That was before I discovered the dissolving tape. 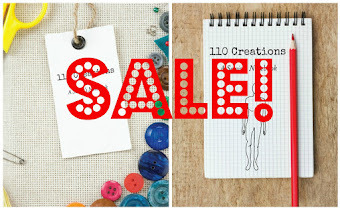 It can be a little pricey, but use a coupon and it's worth it!